If you are a pet owner, you know how important your pet’s health is. That’s why Phyto Animal Health has a line of CBD-based pet products that will keep your pet healthy and happy for many years to come. All products are completely natural, safe and non-GMO. We all know how important our pets are to us. Phyto Animal Health recognizes that your pets are part of your family. That’s why Phyto Animal Health wants to make sure that your pets are as healthy and happy as they can be. 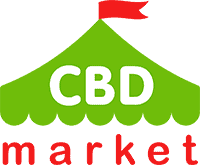 A variety of hemp-based CBD products are available. This includes treats, food, tinctures, bedding and litter. All of these products are an all-natural alternative to chemical-based products that aren’t safe for your pet. Your pet will thank you for the care that you are providing them by way of CBD-based supplemental products. CBD pet products that are infused with this rich-cannabinoid ingredient has sparked some big pet health developments. Cannabis has long been beneficial to humans. Now it is time for our pets to enjoy the same benefits that we have been experiencing for some time now. Vitality and longevity is what Phyto Animal Health is striving to provide for all pet owners, all over the world. It is important to follow strict dosing guidelines when providing a supplement to your pet. Always follow the instructions based on the accurate size of your pet. You should seek veterinary assistance if you notice your pet is experiencing any kind of adverse affects from a CBD-based product. Most people have heard a bit about the medical marijuana debate that is going on. Some people support the use of marijuana for a number of medical benefits. Other people recognize that there are beneficial ingredients in hemp, but the psychotropic effects aren’t necessarily needed. CBD oil is a great alternative to medical marijuana. This is because CBD does not contain any THC in it. 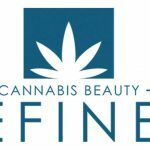 The legal limit is 0.3 percent in any marketed CBD product. CBD is just part of the cannabis market. When CBD is consumed, the cannabinoids in the product will assist with a number of bodily functions. The endocannabinoid is a system that exists in the human body, as well as the animal body. This system is what controls our appetite, overall mood, memory abilities, pain receptors and much more. Many pet owners have started using CBD oil for their pets, in hopes of alleviating symptoms associated with a condition or disease. Phyto Animal Health is providing plant-based, non-GMO, CBD products for pet health and wellness purposes. I purchased it for my old Goldy (retriever) – she has suffered from two siezures this year. I didn’t want to put her on phenobarbital, so I decided to try add CBD oil first. She’s so active and social now and no seizures for the last four month. Great results.